In the North of Portugal, parks radiate green under rain filled winter skies. Moss gently spreads along ancient stone walls, vines creep up porcelain tiles as Camellia trees burst in red, pinks and whites. It’s mesmerizing, beautiful and absolutely worth seeing for yourself! 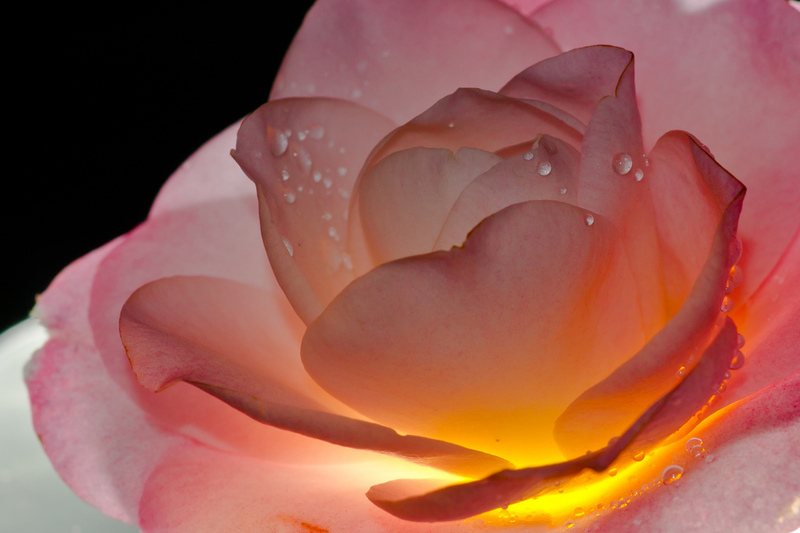 Camellias, however, didn’t originate in Portugal, like the cork oak or lavender bush did; they’re home to eastern and southeastern Asia where they’ve been revered and celebrated for more than 5,000 years. 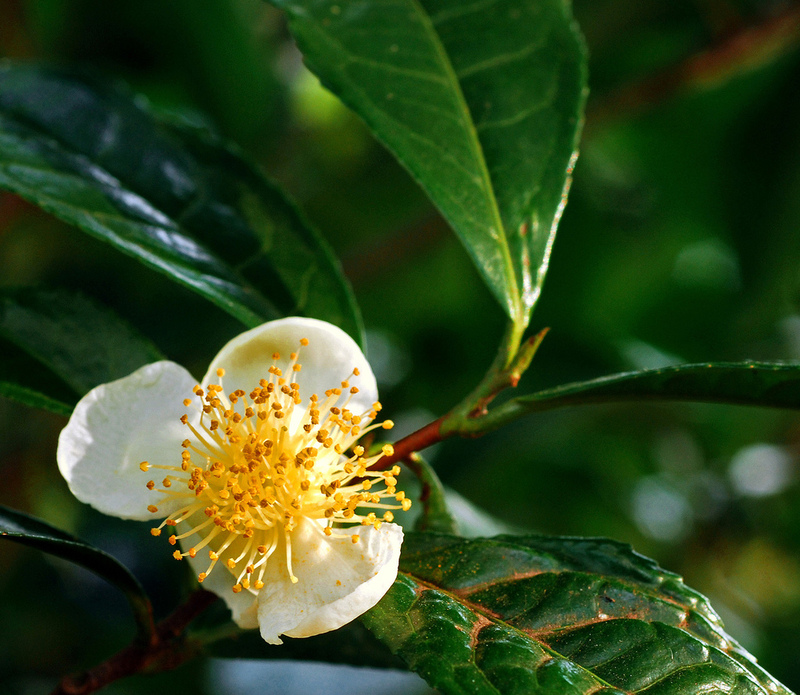 The small, shiny leaves of Camellia sinensis were first used in China and Japan to make black tea, and was later brought to Portugal in the 16th century. With the marriage of Portuguese princess Catherine of Braganza to King Charles II in 1662, tea meandered its way to England where it’s become an integrated part of British culture. Mind you, tea producing leaves of Camellia sinesis are not the same species that’s brought the city of Porto to floral delight every winter. The ornamental Camellia japonica is responsible for over 3,000 hybrids worldwide of which 400 were created in Portugal. And though the first living camellias recorded in Europe in the early 18th century were said to be in the gardens of Robert James, Lord Petre, the Portuguese contend that Camellias arrived in Portugal well beforehand. In the Museu Azulejos (Tile Museum), you can find painted azulejos depicting camellias in Portugal dating back the 15th century. This exotic botanical species thrives in Portugal’s mild Atlantic climate, making the city a rich, floral wonderland for almost half the year! From January to March the North of Portugal is completely blanketed in silky multi-colored petals, providing you a wide window to choose from. If you’re planning a spring trip, fabulous! As a result of climate change, Camellias are prolonging their stay in many parts of the North, giving you an extra opportunity to savor their beauty. If, however, your trip is edging towards summer or early autumn, head to São Miguel on the Azorean archipelago where the greatest concentration of cultivars and broadest genetic diversity can be found. Sintra near Lisbon is also fabulous place at this time to visit! The key point to remember when planning your visit to Porto, is that Camellias bloom in different phases, the most common being the Camellia Japonica. Some types of Camellia may show their petals up in September, while others may wait as long as April! The question being, what’s the ideal time for you! March – April – The last buds will make their debut! There’s no shortage of places to enjoy Camellias in Porto, but if you’re looking for a highest concentration of botanical beauty, we have a few “must visit” locations to make your visit worthwhile! All of the gardens listed can be accessed via public transportation or a quick cab ride from downtown Porto. Jardim Botânico do Porto (Rua do Campo Alegre, 1191) this lush green garden shelters rare and exotic plant species, including a cacti garden, a greenhouse and a historical rose garden. There’s also a lake situated within the perimeter of the Botanical Garden housing a fair number of water lilies. For Camellia lovers, you’ll find a fair number of Camellia Japonica scattered throughout. Open from 9am to 6pm. Parque de Serralves (Serralves Foundation) Having lived next to this stunning estate for several years, I can attest to its natural beauty! Serralves occupies a total area of 18 hectares and is composed of a wide diversity of interconnected spaces including: formal gardens, woodlands and a traditional farmhouse. Designed by Jacques Gréber, in the 1930s, it’s a fantastic day spent meandering their vast estate, enjoying a picnic and swinging by their Contemporary Art Museum that new features works by Joan Miro. Jardins do Palacio Cristal (Rua de D. Manuel II, 4050-346) – Like the original Crystal Palace in Britain, the Porto version did not survive past 1956, but in its place, one of the largest entertainment centers was constructed. But don’t come here for the dome, come for the lush green terraces and gardens filled with rhododendrons, camellias, pines, ginkgos, and lime trees. There are also several themed gardens including the Jardim dos Sentimentos (garden of feelings), Jardim das Plantas Aromaticas (garden of aromatic plants), Jardim do Roseiral (garden of roses) and the Quinta da Macieirinha (little apple tree estate). While there, visit the Romantic Museum, set within the Quinta da Macieirinha, or the local library containing a cafe and an art space for the little ones. Open year round from 8am to 7pm. Quinta Villar d’Allen (Rua do Freixo, 194) – If you’re craving one of the most unbelievable Camellia experiences you’ll ever have, come here! Not only does the estate house some of the oldest Camellias in Portugal, but features an incredibly diversity that can rarely be seen by the public. Isaura Allen and José Alberto Allen, have tenderly cared for each and every tree for decades, a natural wonder passed on within the family for over 200 years. During your visit, be sure to tour their mansion – a living museum with artifacts dating back to Napoleon. Mon-Fri 8:30am to 6pm; Sat 9am to 5pm. Guided visits from 10:00 a.m. to 5pm. with advanced booking by phone. Considering the prolific nature of the Camellia in Porto, you could stay pretty much anywhere, but for convenience sake, we’ve provided a handful of places (in various price ranges) nearest to Camellia filled parks and gardens. Porto Eurostar – located just along the river, it’s the perfect location if you’re keen to get to both the parks and the Villar d’Allen Estate via taxi. This time of the year can be schizophrenic in the North of the country. So come prepared! Clothing: Rain gear! Though climate change has put a delicious spin on Porto’s schizophrenic weather, prepare for seasonal showers. Or, follow the aged wisdom of Portuguese grandmothers by layering yourself in wool, rain gear and more wool. Additionally, consider all-terrain walking shoes well suited for mud, cobble stones and city walking. Camera Gear: Beyond all weather protection to keep rain away from your uber expensive lenses, consider a tall tripod to reach the taller tree flowers, a good macro lens if you have it, and a 70-200mm to reach the flowers you might not be able to get to near the ground. You may also want a small, portable tarp to place on the ground when you need to get low. It’s a bit of a trick question, because really, what shouldn’t you visit! The city always has heaps of concerts and events occurring throughout the year, but for ease, let’s point you to a select few! 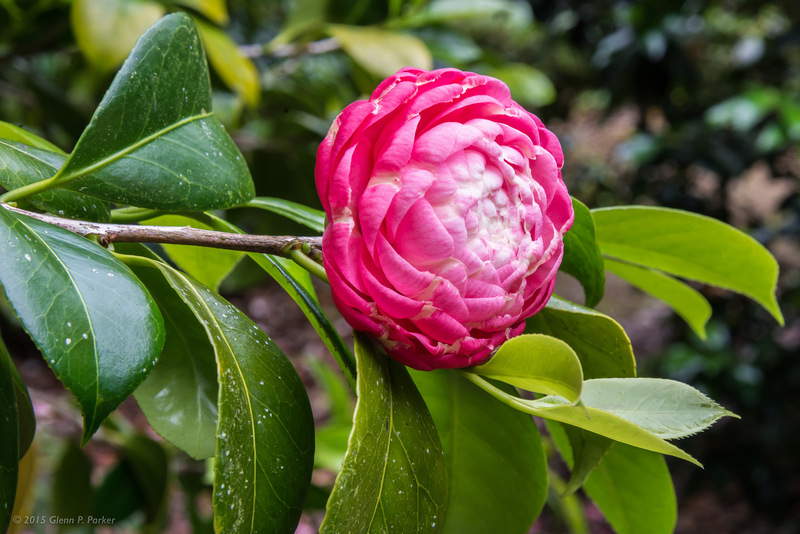 Camellia Exposition in Porto – In March (date to be announced), the Palacio da Bolsa will host a Camellia exhibit featuring some of the most exquisite cuttings from across the North. Check with the Tourism Office for more information. Port Wine lodges on the opposite side of the Douro River, these ancient lodges are a lovely way to spend your afternoon! Guided visits are available throughout year, as are wine tastings in the cellars. Rabelo Boat Cruises – If you wrap up in layers, this one hour tour gives you a lovely view of the six bridges adorning the Douro River. Casa da Musica – considered the major concert hall of Porto, they feature three orchestras – Orquestra Nacional do Porto, Orquestra Barroca and Remix Ensemble – as well as various guest musicians from around the world. Traditional Cuisine – From fresh seafood to oozy rich steak sandwiches, your stomach will be quickly satiated! For those needing nature, visit the vertiginous vine-covered terraces of the Douro Valley, the crystalline waterfalls of Geres National Park or surf the breakwaters of Matosinhos and Espino! If you’re needing a botanical guide during your stay, let us know! We’re more than happy to seek out the ideal garden or nature tour while you’re here.